Born: 30 May 1829, Cape Town, South Africa. Died: 31 January 1908, Brighton, England. Abraham de Smidt, surveyor and landscape artist, was the son of Willem Anne Janssens de Smidt, chief clerk in the surveyor-general's office, Cape of Good Hope, and his wife Susanna Margaretha Redelinghuys. Abraham was educated at the South African College from 1840 to 1845 (aged 11 to 16), where Leopold Marquard* was one of his class mates. From May 1846 to February 1848 he served in the Commissariat office, chiefly in connection with military expeditions to the eastern frontier. Around this time he did some private study in mathematics and was taught by his father. In March 1848 he was appointed in the office of the surveyor-general as third clerk, and in August that year was gazetted as a government surveyor. His work received high praise from surveyor-general C.D. Bell*, who wrote: "He unites with his patient steady performance of his duties, a rapidity of comprehension and correctness of judgment which with his professional abilities he is ever ready to bring to bear on any case beyond his line which the pressure of work may throw into his hands" (Bull, 1981, p. 15). De Smidt's first important work was to check a previous survey in the Fort Beaufort Division, with L. Marquard. He remained in the Eastern Cape, surveying mainly for the military, from February 1849 to June 1850, his departure facilitated by the outbreak of the eighth Frontier War. Returning to the frontier districts in 1853-1855, he surveyed the Kat River settlement, among others, under the supervision of deputy surveyor-general M.R. Robinson*. He was promoted to first clerk in July 1855. Meanwhile De Smidt had begun to develop as an artist, concentrating on water colours of landscapes. He was an exhibitor at the second exhibition of fine arts in Cape Town in 1852, and at many later exhibitions in the town. A visit to England and continental Europe from May 1857 to January 1858 enabled him to study European art and to paint a variety of landscapes. From 1871 he served on the committee of the South African Fine Arts Association, founded in August of that year, and his water colours were regularly included in the association's exhibitions. That same year he published an article on "An art gallery for South Africa" in the Cape Monthly Magazine. He was furthermore a trustee of a bequest of paintings to the Fine Arts Association by T.B. Bayley*. These paintings formed the nucleus of the South African National Gallery collection. In October 1863 De Smidt was promoted to assistant surveyor-general. His interests at this time included natural history, for in 1864 he helped the South African Museum in Cape Town with the arrangement and exhibition of its minerals and fossils, and in 1879 donated some beetles from the Zambezi River. In October-November 1870 he led a party to survey the summit of Table Mountain, connect Thomas Maclear's* geodetic beacon to property surveys around the mountain, and examine the water sources on the mountain for possible use in Cape Town. While executing these tasks the party observed a rather unusual phenomenon known as the "Brocken Spectre" (the observer's own shadow, falling on a nearby cloud or mist). De Smidt described it in some detail - probably the first such description in southern Africa - calling it "a sublime and magnificent spectacle". When Bell retired, De Smidt succeeded him as surveyor-general, effective from 1 December 1872. A few years later he became in addition land expropriation commissioner for the colonial railways. In 1875 he deplored the lack of trustworthy maps of the Colony, leading to the government's approval of the compilation of a 1:1 000 000 official map of the Colony and surrounding areas, using available information. Based on the surveys of T. Maclear* and W. Bailey*, plus property surveys, this Map of the Colony of the Cape of Good Hope and neighbouring territories was published in London in 1876. Although superior to previous maps, it was little more than a sketch in those areas not yet settled or properly surveyed. Hence De Smidt urged the government to initiate a geodetic survey of the colony, as well as topographical surveys for the purpose of compiling better maps. In 1879 a supplement was published which included complete coverage of the Orange Free State, Transvaal, Lesotho and KwaZulu-Natal. During these years he lived at Groote Schuur, which he had inherited from his uncle Abraham de Smidt (1793-1868). He sold the property in 1879. On his return from another European tour from March 1879 to June 1880 he strongly supported the efforts of David Gill*, H.M. Astronomer at the Cape, to initiate a geodetic survey of South Africa. Progress reports on the geodetic survey by Gill were regularly included in De Smidt's annual report to parliament during 1883 to 1888. He joined the South African Philosophical Society in 1879 and remained a member for some ten years. In 1881 he was one of the trustees of the Grey Library. Retiring in June 1889, he sold most of his possessions and took his family to England. There he lived in Southampton, then Bournemouth, and finally Brighton, continuing to paint until his eyesight started to fail around 1900. 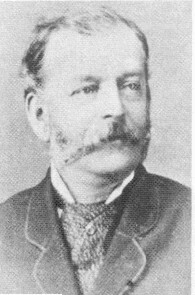 In July 1895 he attended the Sixth International Geographical Congress in London as representative of the Cape Colony and delivered a valuable paper entitled "A brief history of the surveys and of the cartography of the colony of the Cape of Good Hope". The paper was reprinted in the South African Survey Journal 75 years later. He also managed to attend the seventh International Geographical Congress in Berlin, in September 1899. De Smidt was married to his cousin, Alida Cornelia Redelinghuys, with whom he had three sons and three daughters. After his wife died in 1873 he married Hermina Gertruida Overbeek, with whom he had a further three sons and a daughter. Bull, M. Abraham de Smidt, 1829-1908, artist and Surveyor-General of the Cape Colony. Cape Town, 1981. Cape of Good Hope. Report of the Surveyor-General, 1877, 1880-1888. Cape of Good Hope. Report of the trustees of the South African Museum, 1864, 1879. De Smidt, A. A brief history of the surveys and of the cartography of the colony of the Cape of Good Hope. South African Survey Journal, 1970, Vol. 12(4), pp. 5-14. De Smidt, J.P. Abraham de Smidt, some biographical notes. South African Survey Journal, 1970, Vol. 12(4), pp. 2-3. Google scholar. http://scholar.google.co.za Publications by A. de Smidt. National Automated Archival Information Retrieval System (NAAIRS). http://www.national.archives.gov.za/naairs.htm Documents relating to Abraham de Smidt / A. de Smidt. Ritchie, W. The history of the South African College, 1828-1918 (Vol. 2, list of alumni). Cape Town: T. Maskew Miller, 1918. South African Philosophical Society. Transactions, 1879-1887, Vol. 1-4, lists of members.